Over the past 15 years, since the UWYV program was first started, thousands of students have greatly benefited from their experience as Venturers and have additionally made substantially positive differences in the community through their hard work. 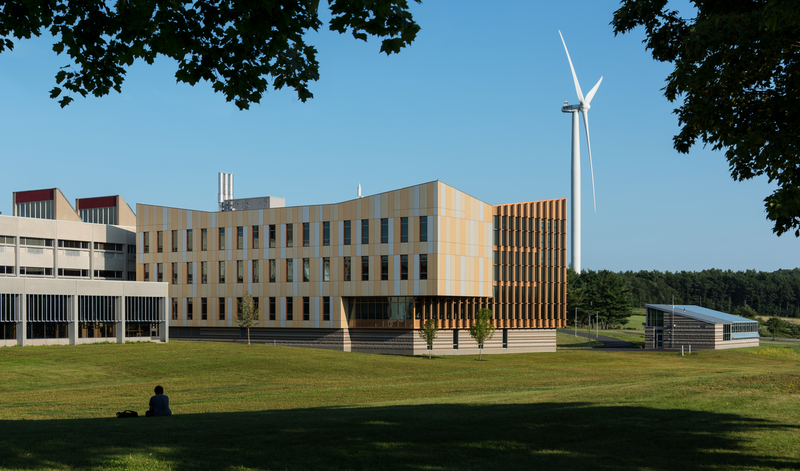 Below are a few in-depth stories of the impact that UWYV program has had on the students of North Central Massachusetts and on the community as a whole. All of these stories can also be found in our Annual Reports which you can read here. When looking for examples of leadership and dedication within the UWYV program, one need to look no further than the members of the Blue Crew 2. This Venture Team, based out of the Ayer Shirley district, has worked for the past two years to raise awareness within their community about autism and the impact this disease can have upon families if they do not receive the necessary support. 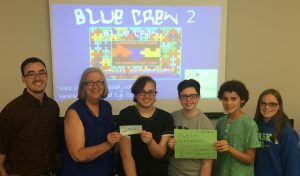 Since re-launching the original Blue Crew Venture in the winter of 2015, the students of Blue Crew 2 have rallied hundreds of fellow students to support an end to autism though various blue-themed events (blue is the color representing autism). These have included fundraisers such as a raffle for Blue Man Group tickets and a blue-themed dance, as well as an annual celebration of Autism Awareness Day within their school. In the past year alone, these Venturers have raised over $1,000 towards the fight against this disease, to which they have donated most of their profits to HMEA’s Autism Resource Center. This nonprofit works with children and families who are directly affected and helps connect them to the resources and information needed to live a healthy and happy life. The Team will be bringing their Venture to the high school to continue their fight against autism. In 2015, three modest students from Sky View Middle School set out to make a difference in the lives of foster children in their community. They started their Venture, Lift Up Foster Hearts, to assemble care packages containing family games, hygiene materials and other items to distribute to local foster children. Through the process, these youth saw exponential growth not just in their Venture, but also within themselves as they impressed those around them with surprising new strength and conviction. Usually humble and shy, they stepped out of their comfort zone to create a partnership with the Massachusetts Department of Children and Families (DCF). 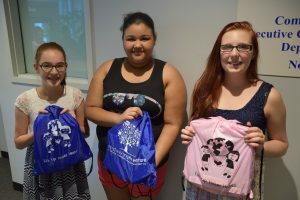 They connected with a DCF supervisor, a partner who helped them to coordinate delivery of 22 Lift Up Foster Hearts care bags for distribution to foster children in need. This got the attention of the local media, putting the Venturers into a spotlight they at one time would have preferred to avoid. 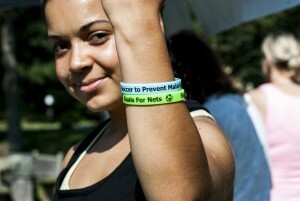 Yet, understanding the importance of their meeting, they courageously and passionately spoke about their mission. These once quiet and reserved students became confident, vocal Venturers, who continue to work diligently so that the foster youth of this community know that there are students who are looking out for their well-being. 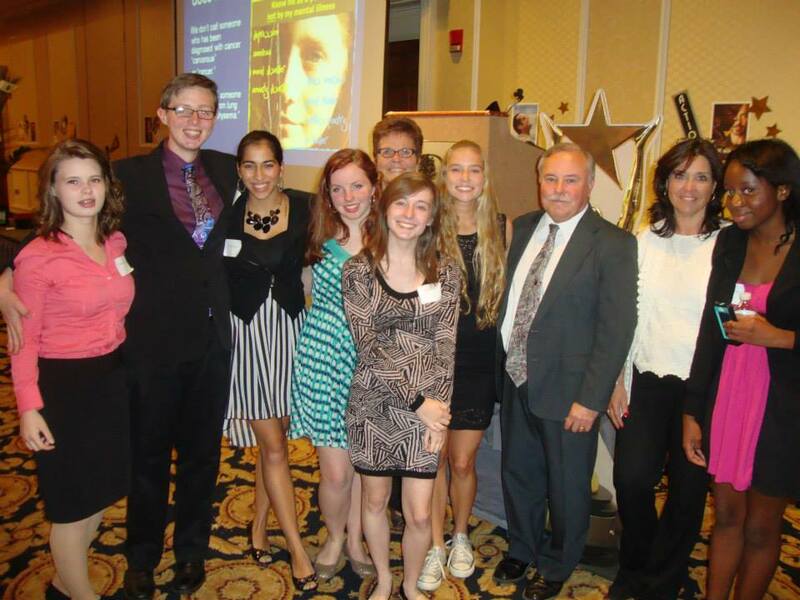 The ALS Venture Team from Fitchburg High School (FHS) is unique both for their source of inspiration and also their membership. Inspired by their mentor, who lost her husband to the ALS disease, the three student leaders represent FHS, MWCC, and WPI. These determined leaders started their venture at FHS in order to raise money for the Glenn Roberts Memorial Scholarship which awards funding to a FHS student athlete.The walk was originally started in 2014, but through the help of UWYV seed funding, the group was able to double their donation to the Massachusetts ALS Chapter & the Glenn Roberts Memorial Scholarship through the recruitment of more students to walk in the event than past years. They also invited a speaker from the Massachusetts ALS Chapter to speak about ALS prevalence and impact, while outfitting student walkers in “FHS vs. ALS” gear. Through their event, the students were able to raise awareness to more than 100 peers and FHS staff members about this devastating disease that affects thousands of people. On a community service trip to New Orleans, members of the North Middlesex Service Club witnessed a local community’s effective and cost-efficient composting system and decided to create one of their own. 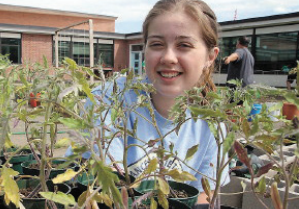 Through United Way Youth Venture they were able to transform a long-neglected school courtyard into a functional garden with raised beds, potted vegetables and composting facilities. The Venturers even took this garden a step further when they were awarded a $20,000 grant to build a state of the art hydroponics facility and greenhouse, the first of its kind in the entire state. With the community garden in place, the satellite garden has already collected over 1,150 pounds of fresh, organic produce, of which a total of 750 pounds has been donated to a local food pantry on a weekly basis. These students have not only learned many new skills, but they have helped transform a community by raising awareness of the need for nutritious alternatives for those who often cannot afford it. This is a model Venture of students who have gone above and beyond to not just improve their school, but to help the greater community as well. Their hard year-round work will help countless families across the region and inspire generations of students to follow in their footsteps. Ethan and Brianna are two very determined and compassionate eighth graders, though at first glance, their personalities seem opposite. Ethan is an outgoing, driven young man and Brianna, just as ambitious, is more reserved and likes to stay behind the scenes. They worked hard to understand each other’s strengths and weaknesses and created a foundation for a strong team. Both shared a visit to the Alzheimer’s unit at Leominster Crossings, a local assisted living facility, while attending summer camp. Struck by the enthusiasm of the seniors and the impact their visit made, they began to explore the idea of forming a Venture to visit the seniors on a regular basis. They created Holiday Spreaders, a group of eight students that visits the assisted living facility to celebrate a holiday each month. With activities and refreshments in hand, they spend a few hours on one Saturday morning a month engaging the residents in conversation and fun. Ethan’s passion for community service was evident to Sharyn Tomasso, Sky View Middle School’s UWYV Champion. She was inspired to nominate Ethan to Governor Deval Patrick’s Project 351, a statewide initiative that brings eighth grade students from every city and town together for a year of community service, leadership development, and enrichment. As a result, he became the student ambassador representing the City of Leominster. Brianna and Ethan learned to embrace each other’s different abilities. Brianna was happy to see Ethan’s recognition on a state level and Ethan learned to work in a team. They will continue their Venture as they leave middle school and will become part of the larger culture of community service at Leominster High School. It’s nearly impossible to find someone who was not affected by the tragedy that shook Sandy Hook Elementary School in Newtown, CT and the members of LEAD were no exception. In response LEAD hosted the event 26 Angels, a fundraiser aimed to raise awareness of more than just the horrific event in CT, but also delve deeper into other issues, including mental illness, gun control, school security and thoughts on how to prevent future gun-related tragedies. After seeing the impact their actions could make upon the community, the members of LEAD took it upon themselves to find other parts of the community that could use their help. These projects included raising holiday gift donations and holding a community spa day for families in need. But what truly makes LEAD stand out as trailblazers is their work in the UWYV community. By stepping in as mentors, panelists, and volunteers, the members of LEAD have begun the first step for fellow UWYV teams to work together, helping their fellow Venturers from becoming overwhelmed with the work to launch their ventures. As they take the lead in helping their fellow teams, they not only strengthen the bond of community at LHS, but help ensure that the greater Leominster community benefit from all that the UWYV program can offer. Eighth grader Andrew knew the challenges of starting a Venture Team all too well. With his busy schedule, Andrew found it difficult to complete his Action Plan from start to finish. A soft-spoken perfectionist, Andrew was meticulous about gathering the information he needed for his Venture, which aimed to start a video game development club at his school. Andrew discovered what he needed was a structured time to meet and talk about the challenges he was facing with forming his Venture so that he could receive assistance as soon as possible. With the help of UWYV staff, Andrew was able to balance his schedule so he could devote the necessary time to his Action Plan without feeling too burnt out or overwhelmed. Andrew’s perseverance paid off; at his panel presentation, panelists unanimously agreed to award him his seed funding request so he may purchase a loaded gaming computer. Panelist Jesse Johnson, a former video game designer, was so impressed at Andrew’s panel, he purchased a computer to match the one listed in Andrew’s expense sheet. Jesse, now a co-owner of a financial software company, surprised Andrew with a visit to his school, computer in hand. “Andrew is an example of the United Way Youth Venture process at its best,” Champion Kathryn Lyon said at the computer unveiling. “He spent three years putting together a Venture. He worked hard to examine how he wanted to impact his community.” “This is really unbelievable,” Andrew said after receiving the computer. “We’ve come so far in the last couple of months, and were’ really excited to be where we are. While other 5th graders packed their bags and rushed out the school doors for an afternoon snack on Friday, Kylee was concerned about those of her peers who would be going hungry that weekend. After researching the number of students at her school who received free breakfast and lunch every day, Kylee thought it would be even better if these kids could look forward to a free meal when they weren’t at school, too. 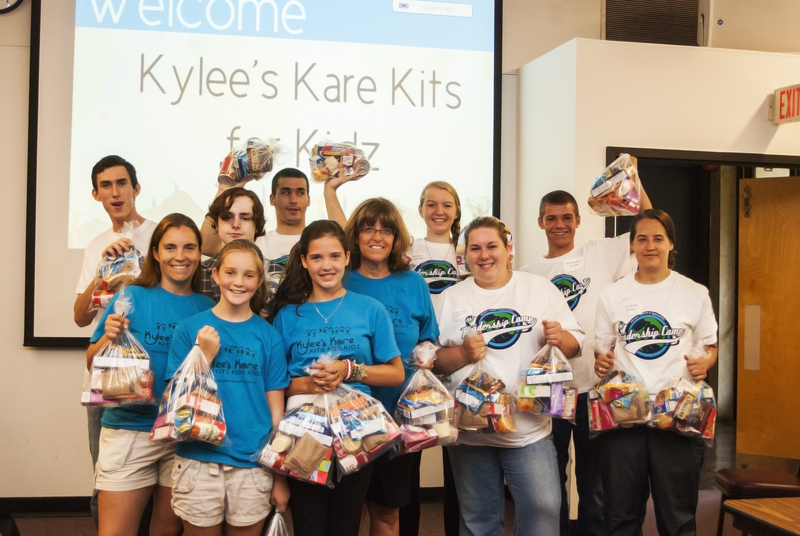 With the help of her friends and family, Kylee decided what would be the best combination of foods and drinks to pack into “kare kitz” that she could then distribute to children at her school. Soon, the school was on board with Kylee’s vision and her Venture was on its way to becoming the first-ever Team led by a 5th grade student. What started off as a few dozen kitz, Kylee’s Venture has exploded into a community -wide phenomenon. 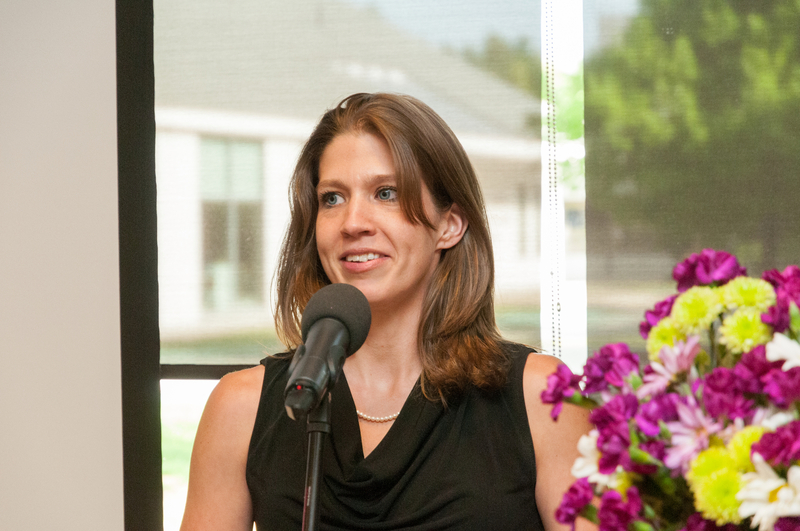 After receiving her seed funding from her panel, Kylee won the United Way’s Community Builders $1,000 grand prize in the Star Projects Competition in June. 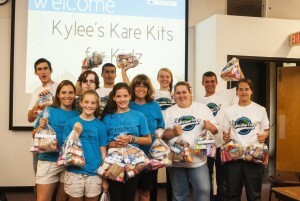 Moving forward, Kylee will host events across north central Massachusetts. At the United Way Day of Caring this fall, Kylee and her team will be in Leominster schools and Mount Wachusett Community College and plan to pack 36,000 kare kitz for children throughout the district. Kylee’s Venture has shown the impact one young person can have on an entire region. The success of the Venture has jump-started the creation of a UWYV program catered to those in a younger age bracket so that other youth in the 4th and 5th grade may make a difference.